For people who have tried both, I'm wondering what your preference is for in-between waxings cleaning. Lately, I've been following the advice of vid1900 and just vacuuming. But sometimes I need a bit more of a cleaning. I used to use Novus 1 but recently picked up a bottle of Wizards Mist N Shine which I heard JJP uses on all of their playfields before leaving the factory. I really liked the high glossy look that Wizards left. I don't have enough experience with it yet to tell which I like better so I'm wondering if others have noticed pros and cons of either. Use novus for the dirt and mist and shine as a substitute for wax. Wizards makes games play amazingly fast (and it smells great )... but I don't think it's meant to be a cleaning substitute. I clean with Naphtha, then "wax" with Wizard's Mist N Shine. It's quick and very easy to do. Results in crazy fast gameplay. I'm kind of suspicious as to what's in it. On the official website, there's no ingredients listed. 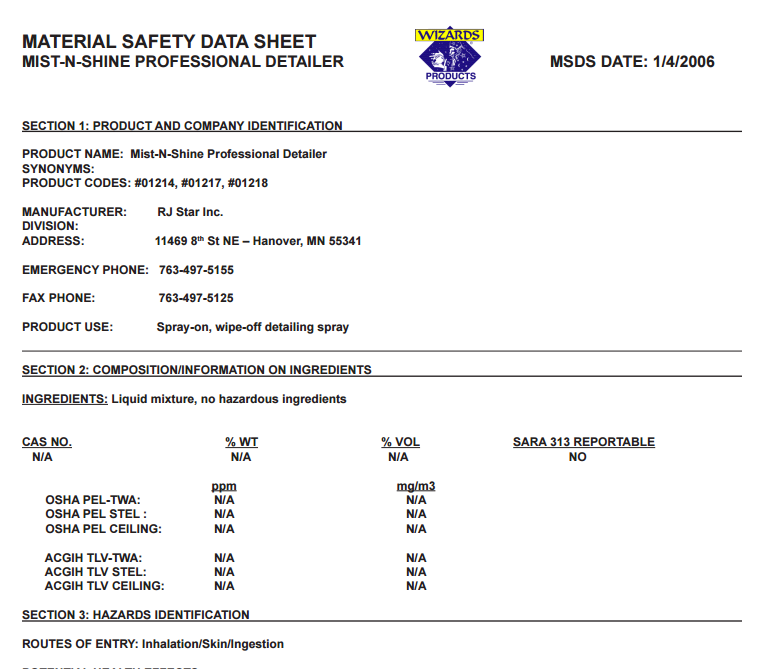 On the MSDS sheets, again, no ingredients listed. Of course Novus 1 I believe has waxes in it. Wizards is not supposed to have any waxes. Of course Novus 1 I believe has waxes in it. It's a polish, not a wax. I thought Novus 1 had suspended waxes in it. Of course, it is not a substitute for a wax like Blitz, but I thought it left behind a very slightly waxy surface. I didn't think it was a polish. 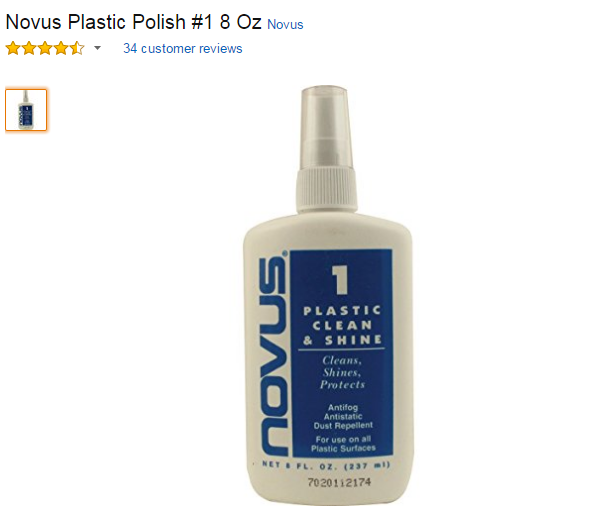 Novus 2 is a polish and has abrasive components in it.